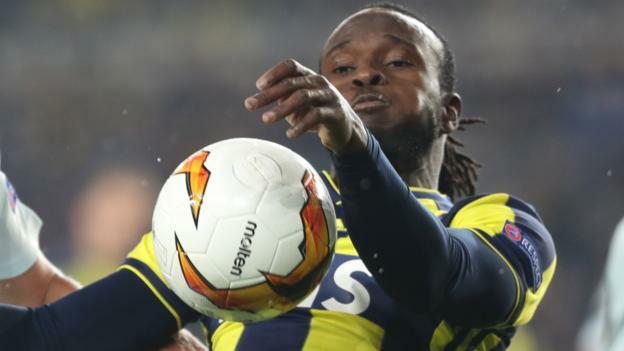 Victor Moses made his first Fenerbahce start as they beat Zenit St Petersburg in the Europa League last 32 first leg. The Chelsea loanee set up the only goal as he knocked on a corner to Islam Slimani to smash home. Zenit, in their first competitive game for two months, missed a penalty when Robert Mak’s kick was brilliantly tipped on to the bar by Harun Tekin. The game was being played on Tuesday because Fener’s Istanbul rivals Galatasaray are at home on Thursday.